Road trip across the USA in this turn-based survival game. Prepare for the end of the world as the latest game from the collaborative studio Finji, Overland is heading to Nintendo Switch this Autumn. Fight off creatures to survive. 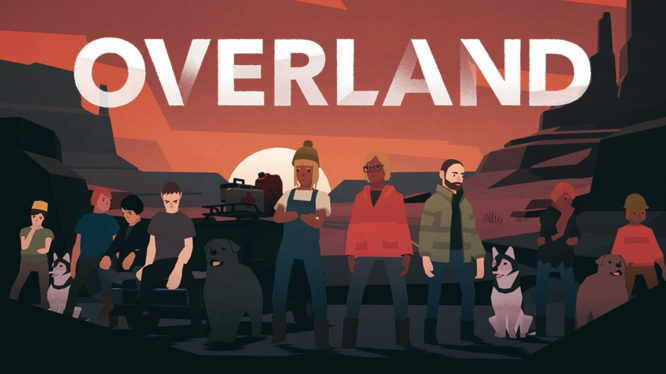 Overland is a post-apocalyptic, turn-based survival game that will have you scavenging for resources, rescuing lone stranded survivors, and fighting off monstrous creatures. You’re tasked with taking care of a group of survivors on a road trip across the USA. It might sound easy but players beware! As you venture further west, Overland gets progressively more difficult and unusual. Everything from road maps, levels and even characters are randomly generated. This means that no two playthroughs of Overland will ever be the same, offering a fresh start with every attempt of the adventure across America. PC players can access the game in early access directly from Overland’s site. Finji is using input from these alpha players to squash bugs and help shape the final game. Those looking to try their hand at survival on Nintendo’s hybrid console will need to wait a little longer though.